Exterior lighting is more than a design perk, it’s a necessity. There is no reason why anyone should have to arrive home at night, in the dark and not have a clearly illuminated view of where they are walking. Toddlers in tow, groceries in hand, a dog tugging on a leash: you simply have to be able to see where you’re walking. 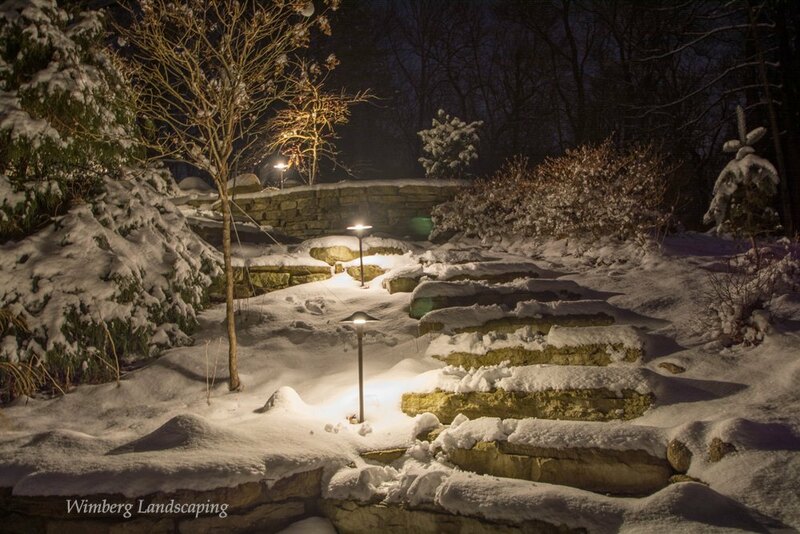 Now that we are incorporating more natural elements into the landscape, including rough cut stones for walks and steps, and opting for curved walks and tiered decks and hardscapes, we must match the design complexity with adequate lighting. From a home security standpoint, having adequate outdoor lighting makes your home less likely to be a victim of a burglary. If you look out your windows and only see dark, or the living room reflected in the window, how can you see unsavory elements skulking about your home? If your home needs additional lighting, call us. We will evaluate your landscape and offer a custom designed plan for your yard.